Need real estate floor plans or floor plans for a home design project? With RoomSketcher Floor Plan Services you can order 2D and 3D floor plans online – quickly and easily. Floor plans are an important part of any real estate listing or home design project. They help to clearly illustrate the layout of a home and they give homebuyers, customers and contractors a better understanding the size of a property or the scope of a needed renovation. In fact, real estate floor plans have been shown to improve customer engagement when reviewing real estate listings. A study by Rightmove shows that floor plans are one of the most important aspects of marketing real estate. Including floor plans online with your real estate listings can increase click-throughs by up to 52%. Floor plans are also critical for home design and home improvement projects. They help you to understand and illustrate the scope of a project and to come up with a good plan. Creating home design floor plans can help you decrease the risk of sizing problems, misunderstandings and costly mistakes. So if you want to maximize your success, make floor plans an important part of your real estate marketing and home design projects. With RoomSketcher Floor Plan Services you can get 2D and 3D floor plans online – quickly, easily and affordably. To order your floor plans simply upload a floor plan sketch or blueprint and our expert illustrators will create a 2D and 3D floor plan for you, ready the next Business Day. 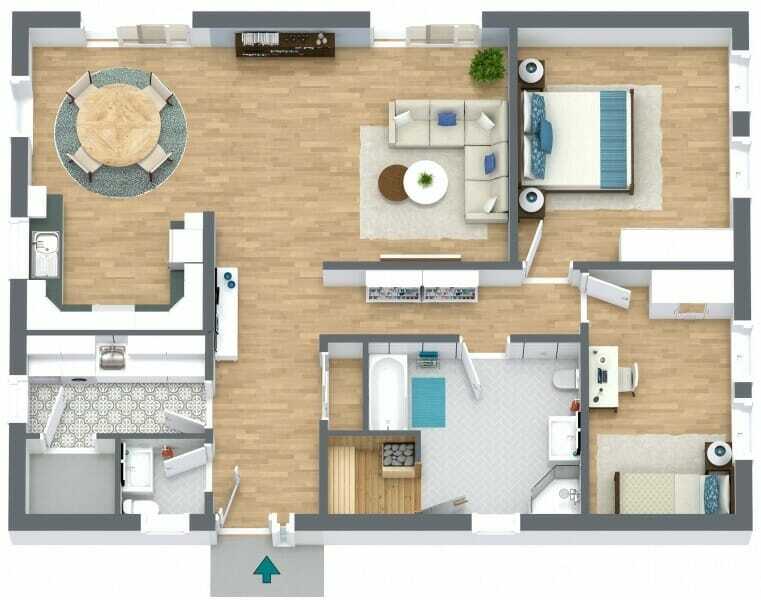 Your online floor plan includes high quality 2D and 3D Floor Plans to scale that are ready for print and download. In addition, you can edit your floor plans online with RoomSketcher Home Designer, our easy-to-use floor plan and home design tool. To edit your floor plans, simply open the project in Home Designer and make any changes you want. Change out furniture, try different layouts, add additional text labels and more. Because your online floor plans are easy to customize, it’s a great way to get home design projects started – quickly and easily. Move walls and create new layouts. Try different wall colors, flooring, and furniture options and see how it looks instantly in 3D. With Live 3D you can take an instant virtual tour of your floor plan. 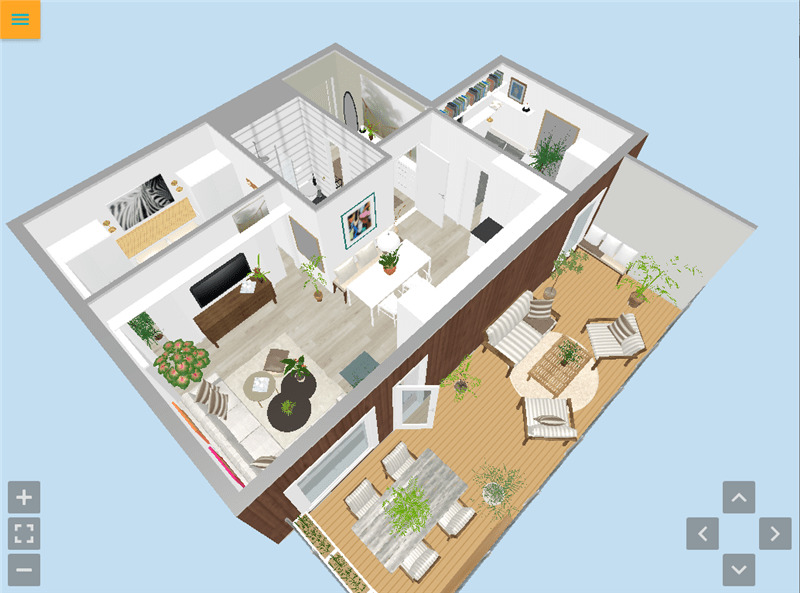 View and share your floor plans online in interactive Live 3D. This is an excellent and engaging way to view and showcase your real estate properties and home designs. Ready to get started? Order your real estate floor plans or floor plans for your home design project with RoomSketcher Floor Plan Services. See pricing and order your floor plans online today!